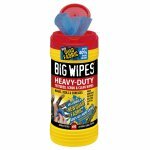 Premium Heavy-Duty Big Wipes - ideal for cleaning hands. 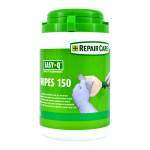 Easily removes stubborn grime: paint, silicone, adhesive, PU foam & more. Antibacterial & preservative free! 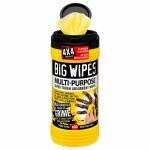 Premium grade textured scrub-sided wipes for the immediate removal of even the most stubborn, ground-in dirt, essential when using PU foam, adhesives, silicone and oil-based paints. 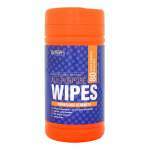 One side grips the muck, the other side soaks up any residual leftover grime, the quickest and most effective clean a wipe can offer. The powerful 4x4 formula contains 4x Power Cleansers and 4x Skin Conditioners making them tough on grime but kind to hands. 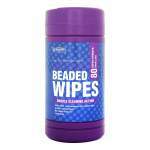 Antibacterial and preservative free! 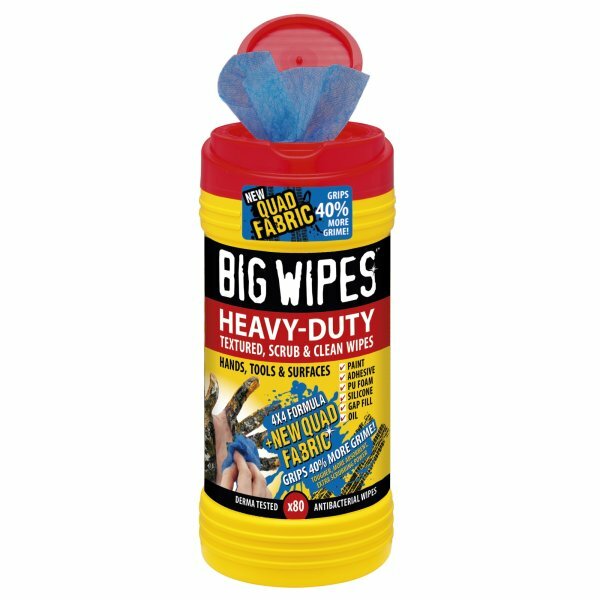 Dual sided 'scrub & clean' wipes offer the fastest deepest clean ever. Scrub face: Removes the most stubborn grime. Smooth face: Soaks up the muck. Dermatologically tested. Antibacterial action kills >99.9% bacteria fast. Cleans paint (oil & water based), construction adhesives, wet sealants (acrylics & silicone), uncured PU foam, grease, bitumen & most oil based spills from hands, tools & sealed surfaces.